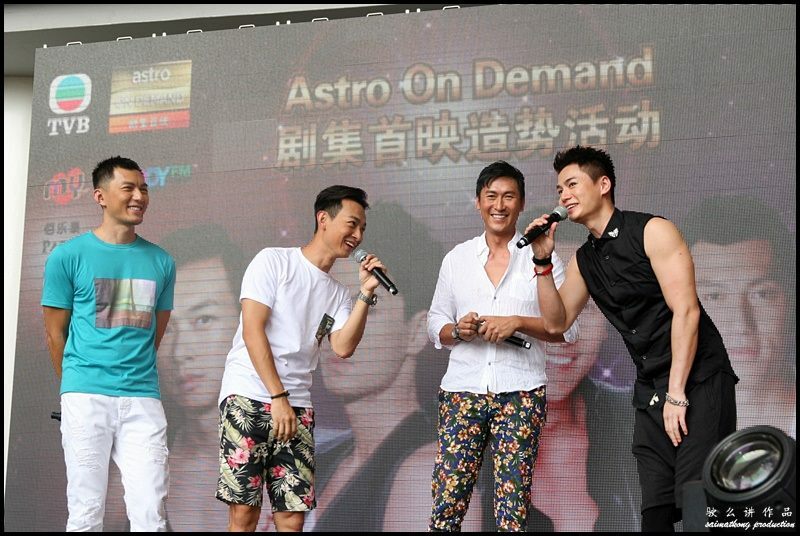 In conjunction with the upcoming Hong Kong dramas which will be aired on Astro On Demand, four TVB actors including Joe Ma 马德钟, Him Law 罗仲谦, Oscar Leung 梁烈唯 & Benjamin Yuen 袁伟豪 attended a promotional activity at Paradigm Mall on Sunday, 6th July 2014. 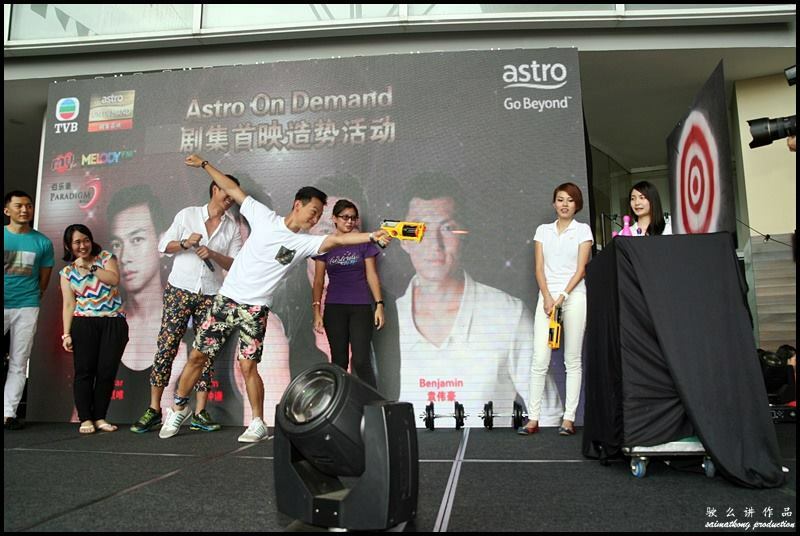 Malaysian fans have the opportunity to interact with their favorite TVB actor face-to-face. 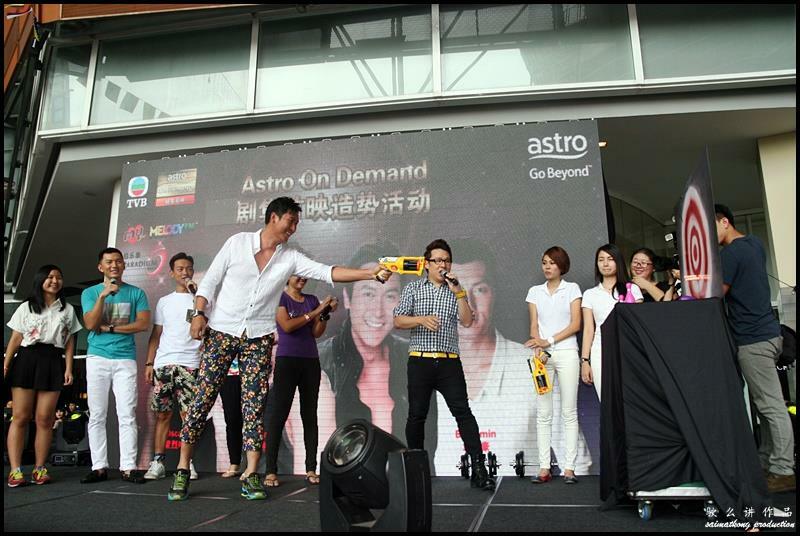 The fun-filled “Astro On Demand Promo Tour” made pit stops in Johor Bharu Sutera Mall, Batu Pahat Mall and Seremban Prima Shopping Mall over the past few days with the last stop in Paradigm Mall. 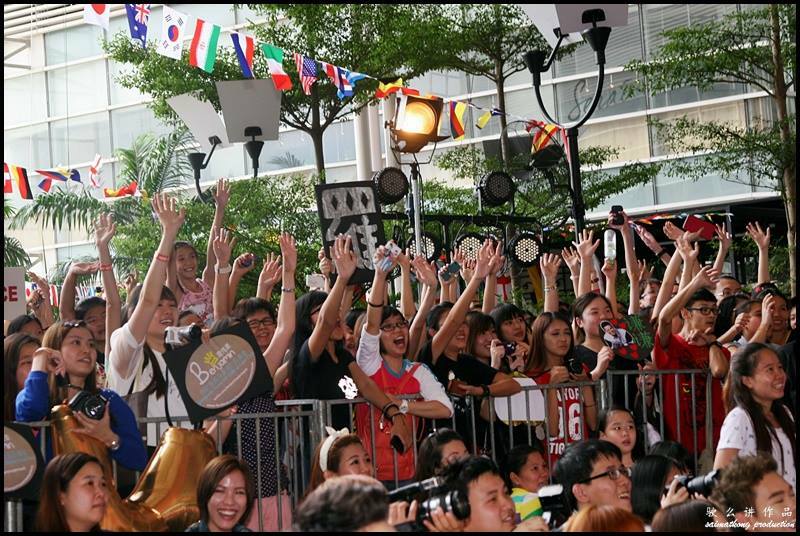 Paradigm Mall was fully packed with excited fans hoping to get a closer look of their favorite TVB stars. 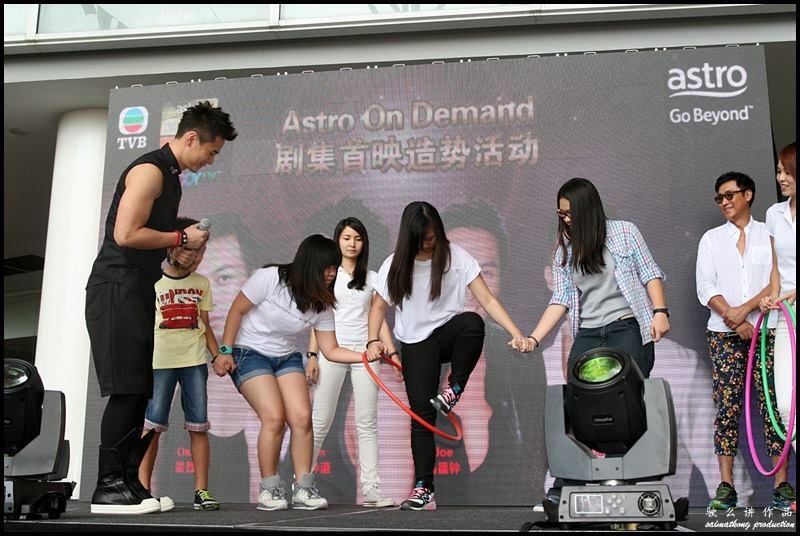 Excited fans cheered loudly when the four TVB artistes appeared on stage. 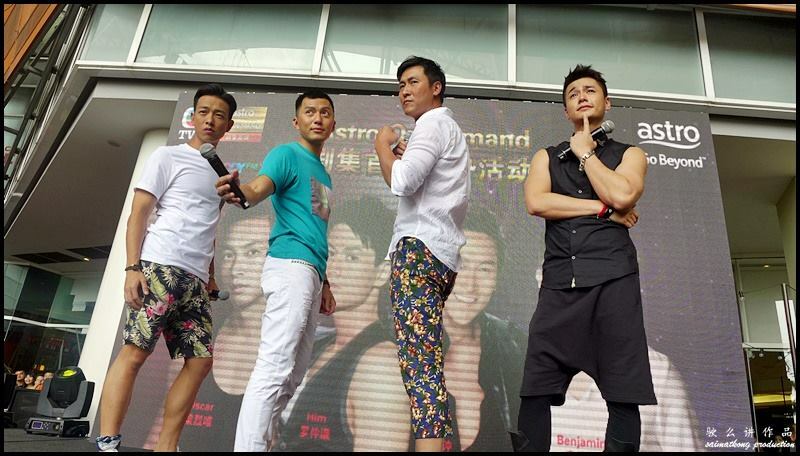 There’s sporty Oscar Leung 梁烈唯, sassy Benjamin Yuen 袁伟豪, talented Joe Ma 马德钟 & handsome Him Law 罗仲谦. 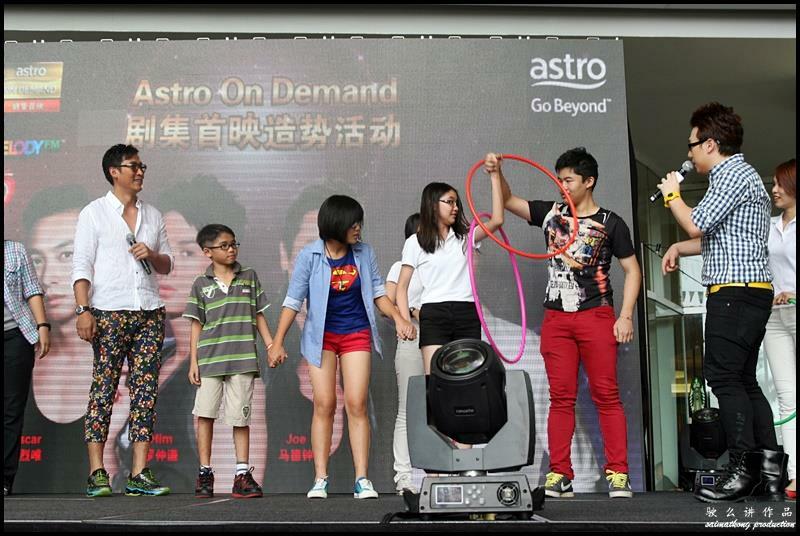 A few of the lucky fans were chosen to play “Hula Hoop” game with Joe Ma 马德钟 & Him Law 罗仲谦. 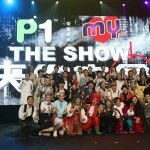 Benjamin Yuen 袁伟豪 performed a Cantonese song “從未在意” (Daddy Good Deeds 當旺爸爸 theme song by Edwin Siu 蕭正楠). 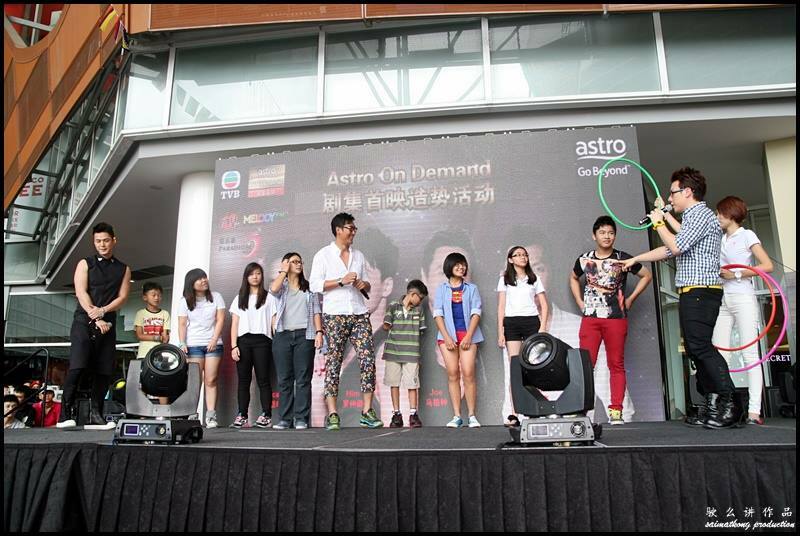 Surprisingly Benjamin can sing quite well and his singing performance received loud cheers from the audience. 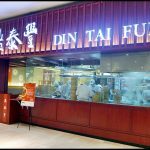 Benjamin Yuen 袁伟豪 & Oscar Leung 梁烈唯 sang “友情歲月” (Those Were The Days 友情歲月之山雞故事 theme song by Ekin Cheng 鄭伊健). 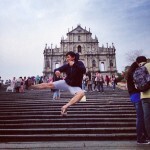 Not only Oscar Leung has good acting skill but he can sing too! 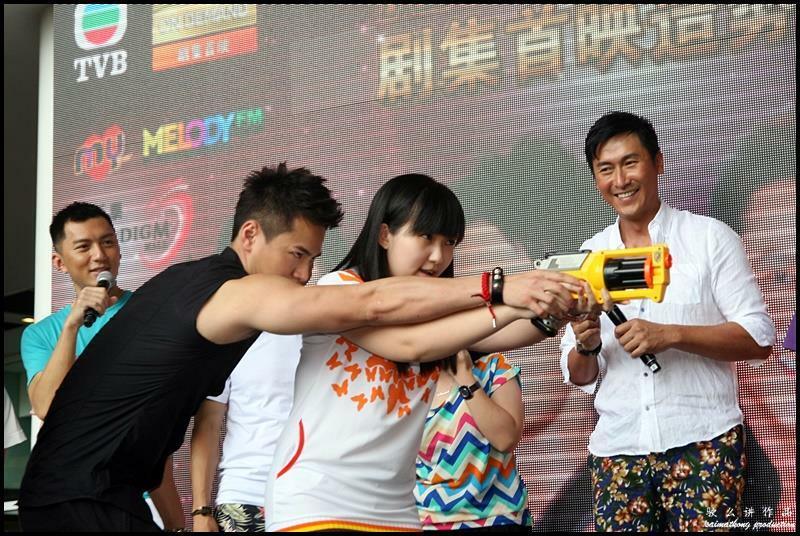 Shooting game with Joe Ma 马德钟, Him Law 罗仲谦, Oscar Leung 梁烈唯 & Benjamin Yuen 袁伟豪. 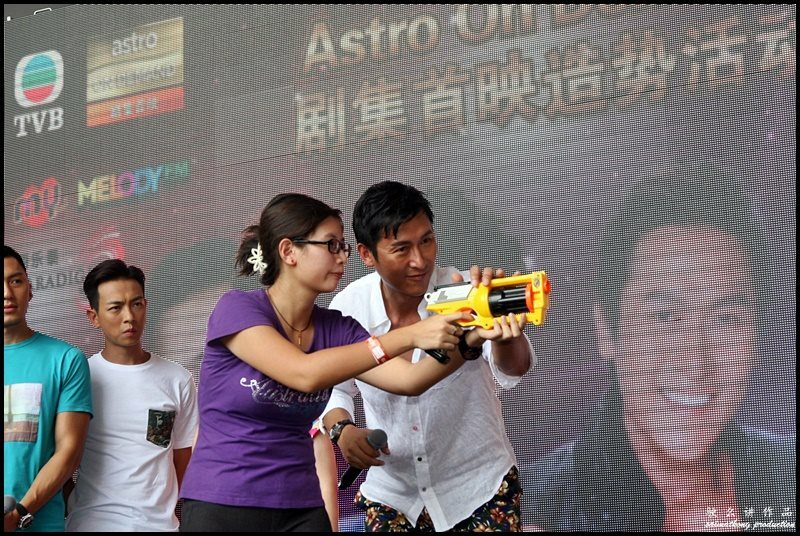 Oscar Leung 梁烈唯 demonstrated his excellent shooting skill in the shooting farm and impressed his fans and audiences. 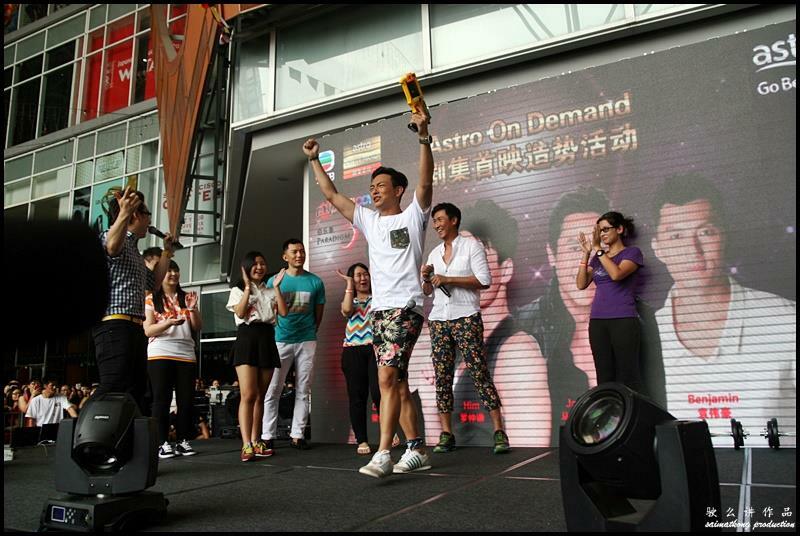 Him Law 罗仲谦 lost the game and the punishment was lifting the dumbbell. 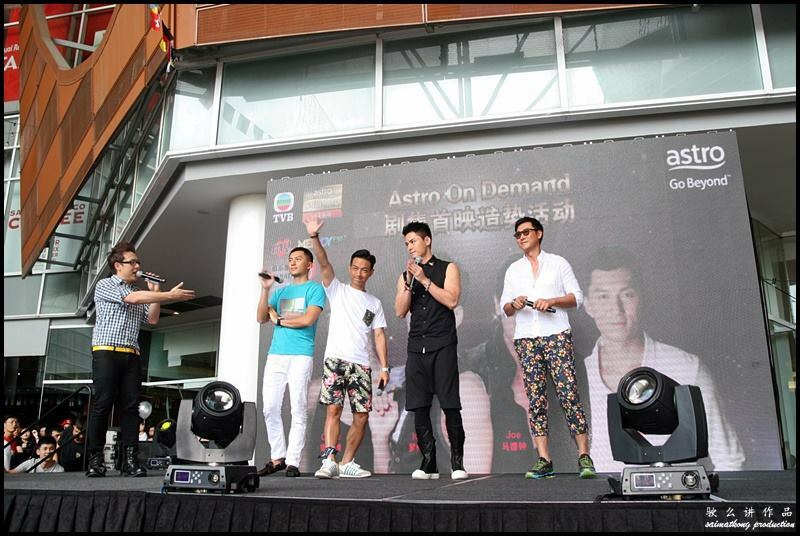 飛Four performed a popular Cantonese song “一生中最愛” (by Alan Tam 譚詠麟). 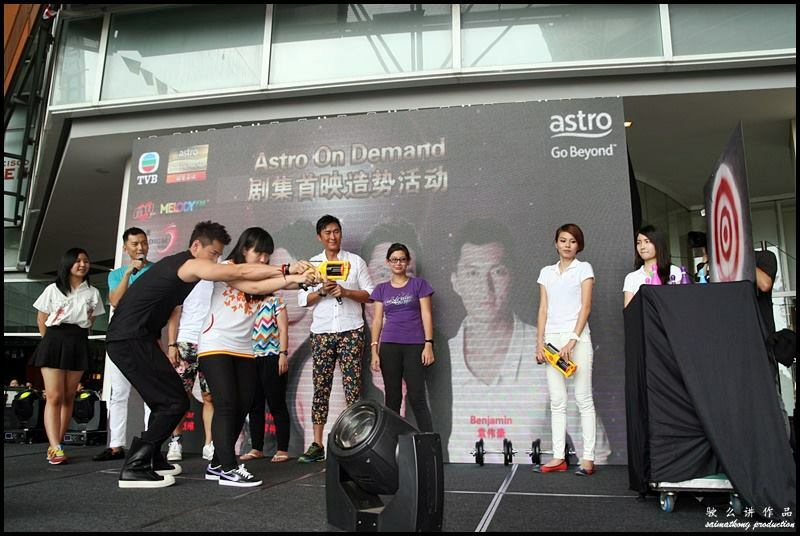 Astro On Demand (AOD) enables TVB fans to enjoy the latest TVB drama series from Hong Kong. 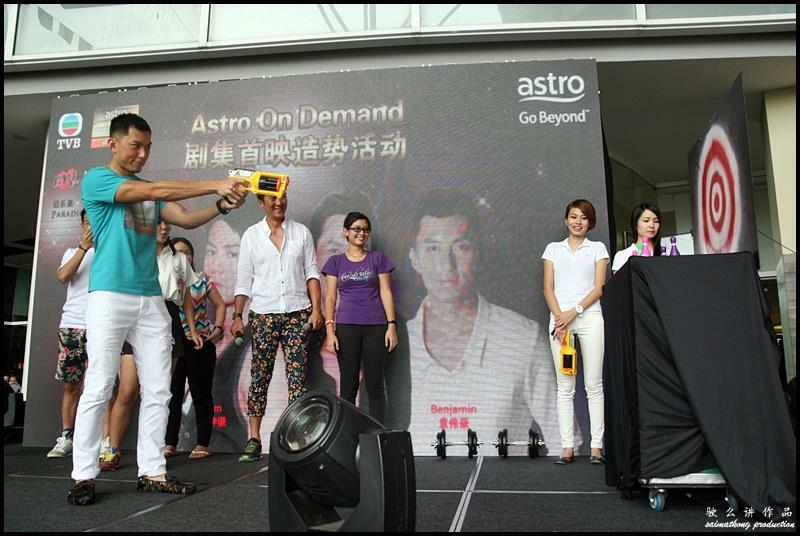 From 11th July 2014 onwards, Astro Wah Lai Toi viewers on the Dynasty Pack will be able to enjoy the latest TVB dramas from Hong Kong through Astro In Demand (AOD) channels at no additional cost. 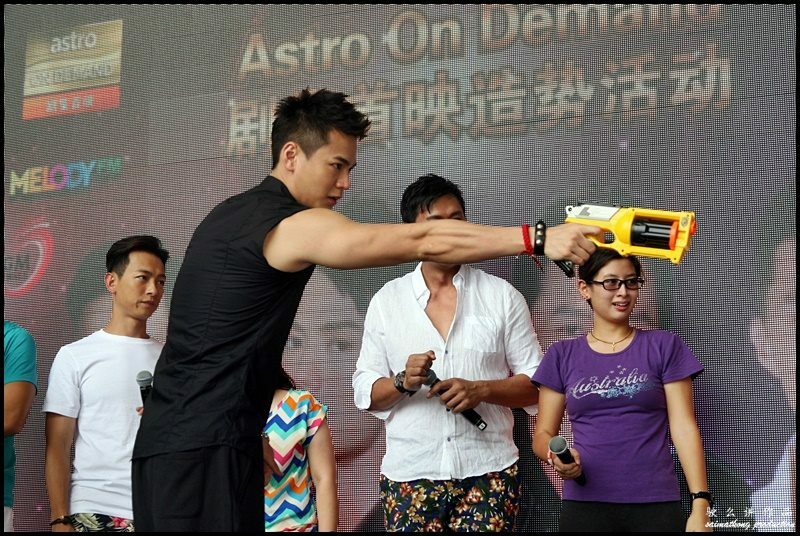 All the four TVB stars took the opportunity to promote the upcoming TVB drama series which is set to premiere soon on Astro on Demand (AOD) such as Tiger Cubs II (飛虎II), Rear Mirror (載得有情人), Noblesse Oblige (宦海奇官), Lady Sour (醋娘子), Ox Head Loves Horse (牛頭愛搭馬嘴) and Line Walker (使徒行者). 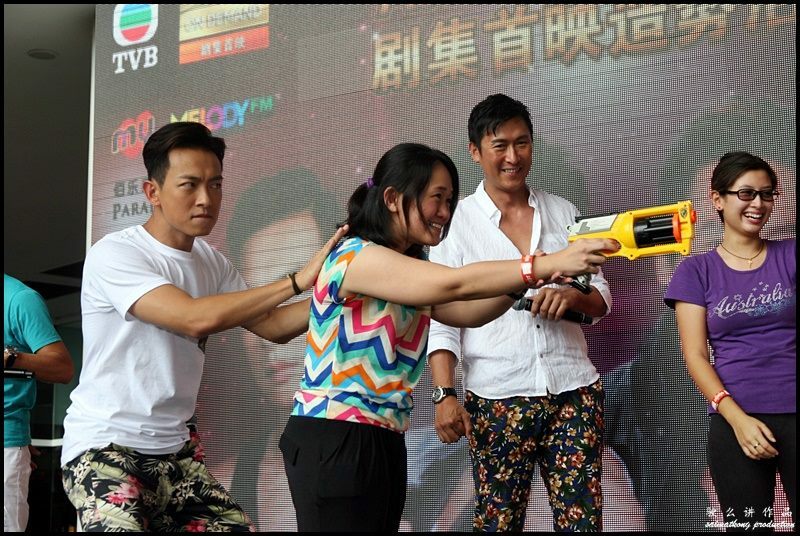 Die hard fans of Oscar Leung 梁烈唯, Benjamin Yuen 袁伟豪, Joe Ma 马德钟 & Him Law 罗仲谦 will get to see them in TVB upcoming drama “Tiger Cubs 2” 飛虎II as the four good looking hunks are involved in the sequel of TVB hit drama Tiger Cubs (飛虎). 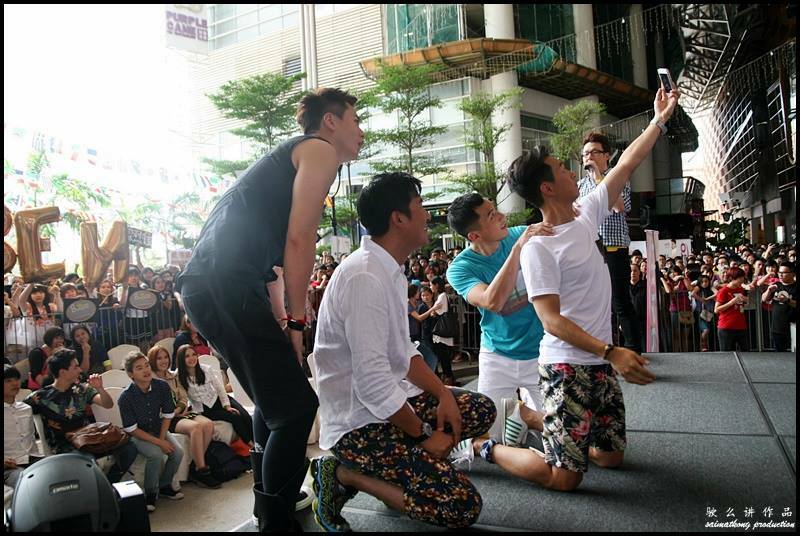 All the four artistes expressed their excitement for reprising their role in Tiger Cubs II (飛虎II) and talked about their respective roles in the series. View more photo of the event here ~ Facabook Page.